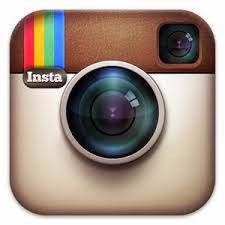 A little known Instagram trick that will drive traffic to your pet business website. If you use Instagram to help market your pet business, you are probably aware that when you post there isn't an option to add a click-able link in your Instagram post that could potential drive traffic to your website and potentially increase sales. 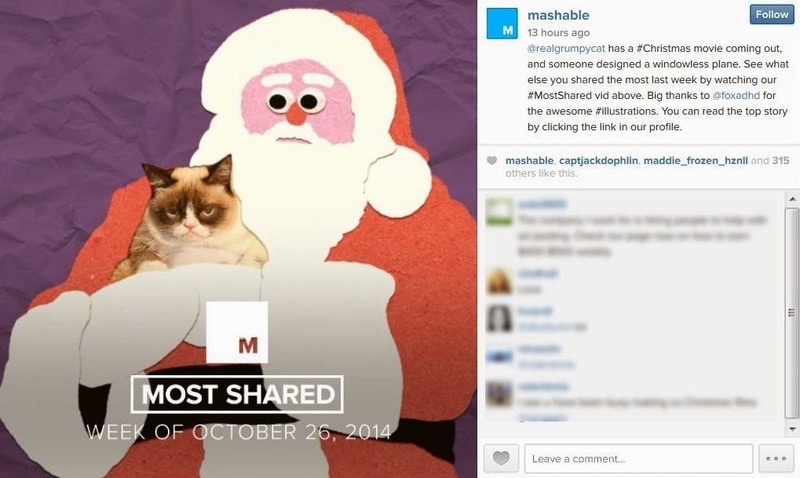 But one thing you can do to help drive more traffic and utilize Instagram further as the wonderful potential marketing tactic is to do what Mashable has been doing for several months with good results. Every time you post on Instagram, add a message to your post to remind individuals to click the link in your profile for more information. Then customize the link in your profile to a tiny url (utilizing Bit.ly or your own tinyurl) to drive traffic to specific related information on your website or blog. It seems that Mashable is seeing a good amount of increased traffic to their site through this method. And, it could be a great marketing idea for your pet business as well. March 12 , 2015 - The pet industry has seen amazing growth over the past 15+ years. And there is a very specific reason for that. During the economic boom following the Great Depression and World War II, over 75 million children were born. These children, known as Baby Boomers, were the largest generation of Americans to be born in US history, and the first generation of 'humanizing' pet lovers. As this generation aged and became empty-nesters they grew to consider their pets as replacement 'kids,' lavishing even more discretionary funds on them with innovative toys, sports and activities, healthier foods and treats, supplements, higher levels of veterinary care, day care, pet sitting, grooming and more. The Baby Boomers are completely responsible for the phenomenal growth of the pet industry over the past 15+ years. But times are changing; and we're beginning to see, and will continue to see, a transitional and leveling off phase in the growth of the pet industry. According to the American Pet Products Association’s annual report on pet industry spending, Americans spent $58 billion in 2014 on their 397 million pets. As pets have become more of an important part of the family spending has grown well over the years with spending growth at 4.2 percent from $55.72 billion in 2013 to $58.04 billion last year. The only category that decreased in size was the sale of animals with a 2 percent drop from $2.23 billion in 2013 to $2.15 billion in 2014. Pet ownership rates tend to drop among people in their golden years. And Boomers are starting to hit retirement age, with the oldest turning 69 this year. 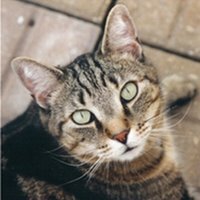 If not already, pet product and service providers should look ahead to when the Baby Boomers decrease the number of pets as part of their families due to fixed incomes, smaller homes, and/or health issues, and a new generation comes forward as the primary pet product and service purchaser. - The economy continues to steadily grow following the recent recession, however it isn't projected to grow like it did during the Baby Boomer years. - Baby Boomers are aging and with that comes a current and projected decrease in pet ownership and a consequent leveling off of pet product and service purchases. - The upcoming generations, Gen X and Millennials, are a very different breed of individuals and have very different lifestyle and purchasing habits than the Baby Boomer generation, particularly relating to pets. But all is not doom and gloom for our industry. There is much opportunity in the coming years if you understand who will be buying pet products and services in the future, what products and services they will want and need, and how best to market to them. 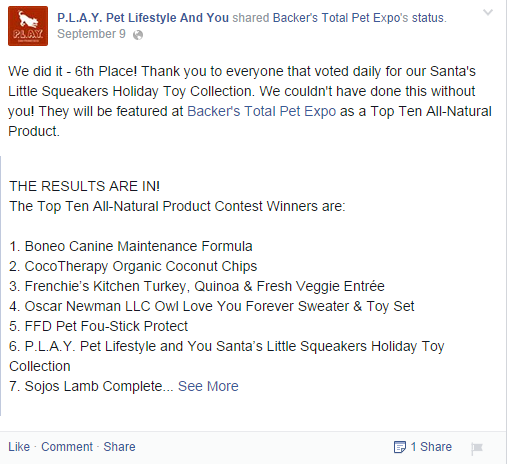 With these thoughts in mind we see various pet product and service trends coming for 2015-2016. Quality will prevail, but cost savings will be the deciding factor. As the economic landscape continues to challenge many, pet loving consumers are looking for high quality at a good price in an effort to maximize their pet product and service dollar. We see this continuing in the near future with Baby Boomers, and also see it continuing well into the next generations, as Gen X and Millennials have grown up in an age of economic challenge and have become very cost conscience consumers. The pet food recall of 2007 was a big wake up call for pet loving consumers who were outraged by the harm that came to their pets, and the pets of their friends and family. Since then it's been a challenge for consumers to fully understand what pet food and treats are healthier, and what products will keep their pet safe and thriving. The trust they once had in pet food and treat companies has been tarnished; yet consumers still have a hard time understanding who they can believe and if the claims they read and see are true or just marketing spin. 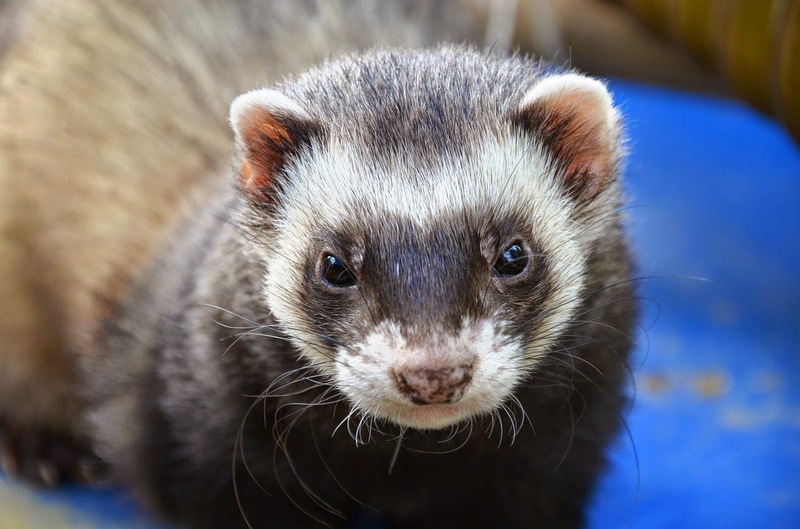 Over the past years the Internet has provided a wealth of information to consumers through a wide variety of well-respected and not so well-respected sources as to what is best to feed their pet. Consumers have gradually and consistently gravitated toward higher priced, premium (and in some cases raw and dehydrated whole foods) in an effort to provide a healthier, safer diet for their pets. The days of believing what they read, what pet food and treat companies say, listening to the advice of their veterinarian on what foods and treats are best for their pet are over for many and will be over for many more to come. As the generations following the Baby Boomers have learned, 'you can't believe everything you read.' It takes a wealth of research from a wide variety of trusted sources to convince Gen X and Millennials on the best foods and treats for their pets. 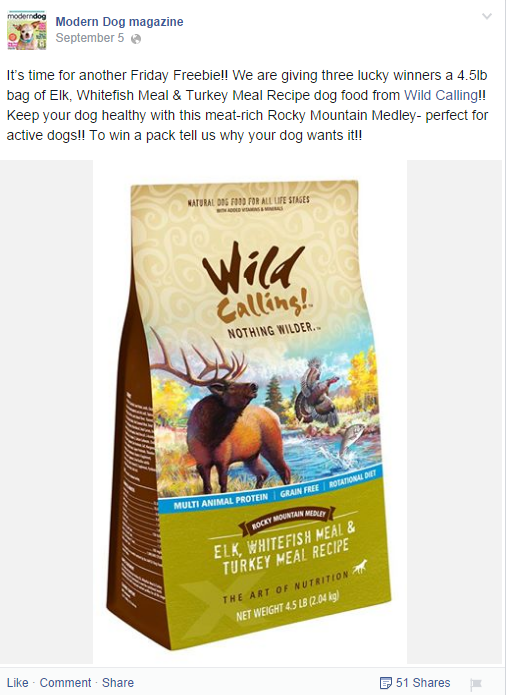 Consequently it will be imperative for pet food and treat companies to not patronize consumers, but to be completely truthful in their marketing and advertising, sympathetic to their concerns, responsive, as well as open and honest in their communications in order to retain and garner new pet loving customers. Not only will this be important, but more and more we will see companies being held accountable for marketing claims through legal actions and regulatory organizations. While healthier, organic pet foods and treats will continue to grow, we will also see other health oriented products and services grow and develop over the coming years. We see these including weight and health management tools to help consumers understand what is the 'standard' for health and weight for their particular pet. These tools may come in the form of technology and wearable tech to monitor pet's health and activity; through mobile apps that help pet loving consumers make more informed and educated decisions about diet, health and activity; online educational opportunities to more fully understand diet, health, and exercise for their particular pet; and more sophisticated and interactive toys, games and activities that help pets get more exercise with and without their human. In the areas of healthcare services, we will continue to see more and more sophisticated veterinary services and procedures for pets that mirror human healthcare, helping pets live longer and healthier lives. Everything from the proliferation of MRIs & CTs to stem cell therapies, transplants, stent procedures; and alternative treatments such as massage, acupuncture, chiropractic and more. These services will continue to increase in cost as they have over the past years, consequently making pet insurance a more and more attractive alternative. We see, however, that it will be important that consumers shop around for pet insurance, just as they would shop around for any insurance for themselves, as services, prices, pre-existing conditionals and other terms and conditions are often not made clear enough to the consumer prior to signing and become a problem later on in their pet's life. We see this mostly unregulated pet service will be pushed (by consumers) to be more regulated as time goes by, as we've recently seen in California. As humans have seen supplements and herbal remedies assist their health in a wide variety of ways, we will also see continued growth in the pet supplement category. We also see increased services pertaining to the aging pet population including in-home hospice services and out-of-home senior care, as consumers look for services to care for their senior and ailing pets. With this healthcare growth, comes complicated and difficult to understand healthcare issues for pet parents; consequently we wouldn't be surprised if we see the beginning growth of health care and information management practitioners for pets added to practices and as independent consultants. It's going to be all about the lifestyle. As cognition labs study how pets think, and trainers better understand how pet learn, we'll see more and more products and services develop that help pets have a better, more well-rounded, lifestyle. Expect to see everything from toys and activities that stimulate not just the mind, like interactive puzzle games and toys, but the senses; as well with products and services that help a pet play and be stimulated in a variety of ways while their pet loving parents are at work or away, or at home or away engaging with them. Interactive games and toys for pets have been on the market for some time, but we believe we will see an increase in these products to a wider pet loving market as pet parents strive to help them have a happier, healthier, more well-adjusted pet. Pet loving parents will increasingly see the benefit of playing and exercising with their pets, and will have the resources and services to help them learn how they can do this easily and efficiently. Groomers, day cares, dog walking and pet sitting services will need to expand their range of services to more fully satisfy the needs of the pet loving consumer to be successful. Areas of expansion we see will include alternative care, health care management, nutritional counseling, interactive and integrated play services and more. Integrating pets into busy lives is always challenging. With this in mind we will continue to see growth in products and services to help pet loving consumers integrate their pets into their total life with expanded and full services for off-site and on-site total care. We will also see continued growth within the travel industry in a variety of products and services catering to pets including hotels, airlines, and consolidated resort facilities catering to both pets and pet parents. Made in the USA. Sink or swim? Jaded by the recent recalls and pet health concerns over foods, treats and toys made in other countries, it will become more and more important to pet loving parents that the products they purchase for their pets are sourced and made in the US. With this comes a higher price. But as we've stated before, quality will be very important to the present and future pet product purchaser, and healthier and safer will be an overwhelming consideration in their final decision. Companies that source and make their products in the US will have an advantage not only now, but in coming years. Retailers will need to step it up! With big box and many other large companies now targeting the pet loving consumer with products and services, retailers will need to step up their game in the coming years. By providing a more full service and/or niche service to their current and prospective customers, retailers will have an edge in becoming a trusted and reliable, full lifestyle resource for pet lovers. Manufacturers and service providers will need to be more innovative and bold. You may think that everything a dog would need in life has been invented and is currently or soon to be on the market, but think again. Many innovative and creative companies and individuals are designing and bringing to market a wide variety of toys, games, pet care and lifestyle services that will do well in contributing to a more full and happier, healthier lifestyle for pets that satisfies even more of their senses. We will see everything from scent related toys to unique and helpful services come to market in the coming years that will help pet lovers engage, entertain, and manage their pets lifestyles more completely. Consumers will want more from pet related product companies and service providers. The pet industry has done well in reaching, speaking to and connecting with the most prolific pet purchasing consumers in the past years, aka the Baby Boomers. But the upcoming consumers, Gen X and Millennials, will demand more from companies and service providers within the pet category to be convinced to purchase their products and/or services. Pet related product companies and service providers will need to be much more creative in reaching these new segments, while still satisfying their marketing 'speak' to the Baby Boomers. Not reaching out to these new generations the way they want to be marketed to now will create a void and dip in sales in the coming years. The new pet loving consumer will demand high service, responsiveness, stellar customer service, full disclosure, strong ethical marketing, truth in advertising and want to be reached in a variety of ways through presumer marketing, demographic marketing, testimonial marketing, location based marketing, free, open communications, on a more personal level and in a very prolific way. These new pet industry consumers will not be as loyal to a company or a service provider as the past Baby Boomer generation has been, creating a marketing challenge for retailers and manufacturers. They will demand higher quality at a good price and will be educated enough to do their research from a wide variety of resources, ultimately coming to their own conclusions. 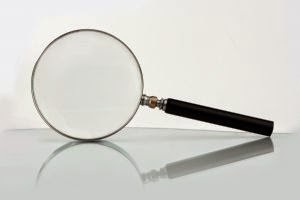 If your company is not involved in that 'research' mix you may lose out on the opportunity. The pet industry is currently a $58B+ industry, with over 45% of households owning a cat and over 56% owning a dog. Pet ownership is flattening, however the monetary growth of the industry continues to grow at a rate of approximately $2-3B per year. We see growth within the industry continuing in the coming years, but the focus of that growth will need to change as the wants and needs of the current and upcoming consumer changes. There will be a lot involved in how the pet industry markets to the next generation of pet product and service purchasers (Gen X and Millennials). Trust, reliability, frequency, truth, and abundance will be key to reaching these individuals and speaking directly to them in a way that will push them to act. As the economy has become more stable, we have seen a boom of consolidation and acquisition within the pet industry and an influx of capital as investors see future opportunity. We expect to continue to see larger brands dive more effectively and prolifically into the pet industry in an effort to gain pet loving consumers as customers. A continued increase in co-branding, private labeling, partnerships and licensing deals will continue as companies look to bring more products and services to their current and prospective market. In addition we see more and more US pet related companies look toward International markets for growth and expansion opportunities, as these markets pick up steam in pet industry growth. Countries showing significant opportunity include Asian markets. Legislative influences will continue to affect the pet industry as concerned consumers strive to be a champion for pets. Everything from the push to ban sales of pets in pet stores to lobbying for involvement in the FDA in regulating pet foods, as well as individual and state actions in banning certain ingredients in pet food, and more. Pet business who move and act to change with the times and align their businesses, products and services to the current and future wants and needs of the new pet loving consumer will be much more successful in the short and long term, and better position themselves to evolve and become a respected leader in their market. 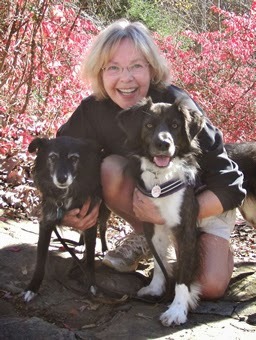 Leslie May, founder of Pawsible Marketing, is a 30 year marketing veteran, with over 8 years in the pet industry. 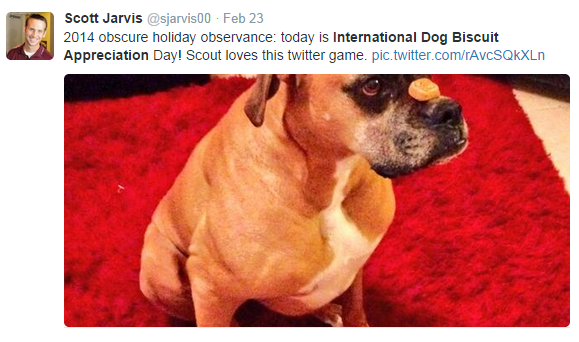 This is her sixth year investigating and predicting trends within the pet industry. Prior to becoming an independent marketing and branding consultant for the pet industry, May held executive marketing positions with VIFI (an Internet banking company), Wellpoint, Anthem, Macmillan Publishing and more. With branding as her passion, May has been featured in Entrepreneur Magazine's "10 Branding Successes (and How They Did It)," listed as one of Entrepreneur Magazine's 100 Brilliant Ideas, and featured along with Oprah, Martha Stewart, Lillian Vernon and more in a new book 'Entrepreneurial Women: New Management and Leadership Models.'. 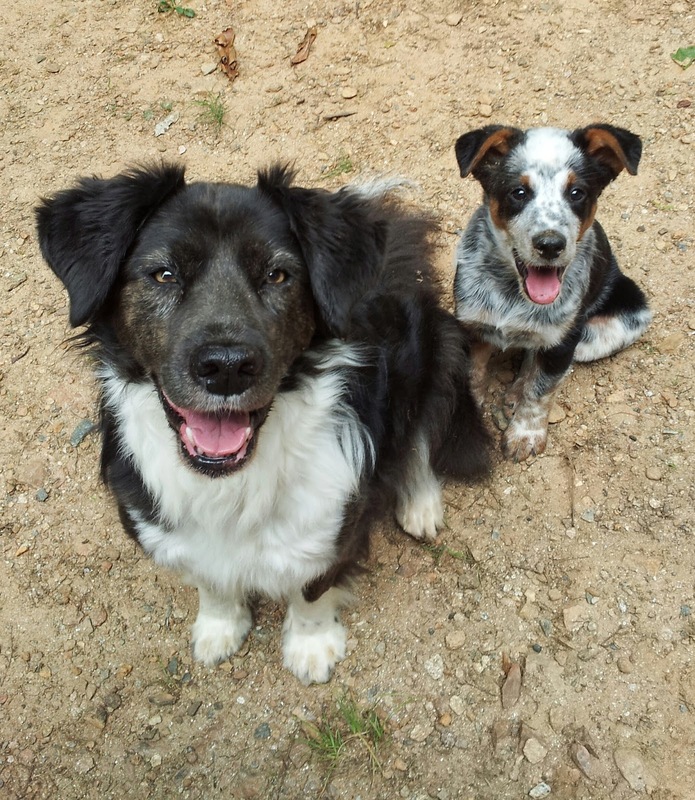 She now lives in a cabin in the mountains of North Georgia with three dog agility obsessed herding dogs and two senior cats. 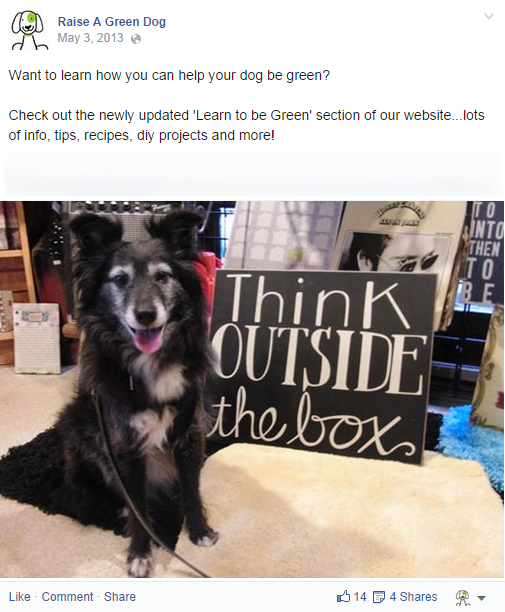 Learn more about May and her company by visiting the Pawsible Marketing website and blog. 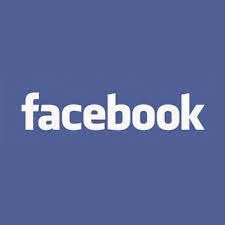 More big changes coming to Facebook that will affect your pet business marketing. On Friday, Facebook dropped a bit of a bombshell for Facebook Fan Page marketers when they announced that beginning in January 2015, people will see less organic promotional posts within their news feeds from Facebook fan pages that they have liked. What does this mean for your pet business? It means that increasingly Facebook is reducing how much of the content you post on your Facebook fan page in the news feeds of those that have liked your page; first with their algorithm changes in recent months, and now with this new change coming in January. Without a big ad budget for Facebook advertising, it's clear to me that Facebook is becoming less and less a way to reach, engage, promote and market to your pet business current and prospective customers and am encouraging all of my clients to continue to work with their Facebook page, but to also begin strengthening their other social media outlets in the wake of this announcement. No matter how wonderful you think your pet business product or service is, the most important questions you need to ask are does your market want it and are they willing to buy it? As we've discussed before, pet business marketing doesn't start with a great idea for a product or service, it starts with the consumer. If your target pet business market doesn't want or need your product, then you have no market and your business is doomed to fail. 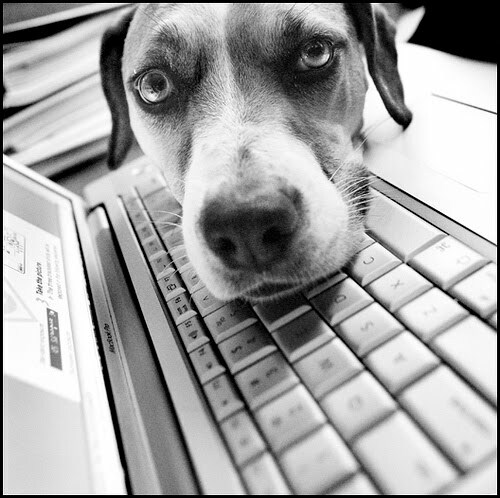 Market research is important for every pet business, and should not be a marketing activity you do only once. Market research should be an ongoing and important part of your marketing efforts. Successful businesses conduct research on a regular basis to keep up with market trends, to maintain a competitive edge, to understand the growing wants and needs of their prospective customer, keep focused on how they market their pet business, reduce risk, help them be more cost effective in their marketing tactics, understand their competition, and more. Whether you are just starting your pet business, redirecting your pet business, or expanding your pet business, market research is imperative in helping you understand your market and increase sales. 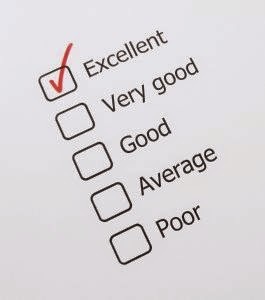 What types of the information can you garner, and should obtain, from a market research project? Market research can be divided into two types - Quantitative research and Qualitative research. Although, making in-roads into market research is a third category of 'Observation'. Quantitative research is all about hard facts, including market share, potential market numbers, demographic data and more. Qualitative research is about exploring why people do what they do, garnering opinions, exploring ideas and issues, understanding likes/dislikes, etc. Observation research is about gathering and tracking data including website visits, social media likes, click throughs and more, and understanding who is interested in your pet business product/service. Demographics - Understanding who your prospective customer is, their likes and dislikes, how old they are, what income and educational level they obtained, gender, their lifestyle, and more can provide you with valuable information about how you can actively satisfy and target your intended market. Psychographic information - Pschographics include the study of opinions, lifestyle, personality, values, interests and more. This type of information can help you understand a prospective or current customer's purchasing habits and trends, shopping preferences, lifestyle choices and more....all helping you specifically target and speak directly to individuals who are most likely to purchase your pet business product/service. As Baby Boomers (the generation who created our booming pet industry) age, and other generations become the new pet business market, we see demographic information becoming less and less important to pet business marketing efforts; and see psychographic and observational information as key information to help pet businesses create marketing tactics to specifically target the new pet business prospective customer and increase sales. 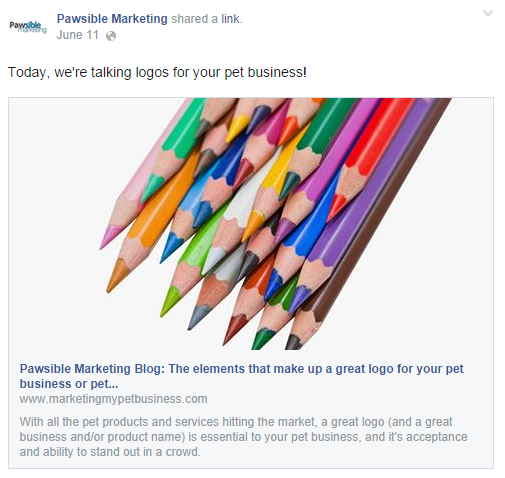 To learn more about how your pet business can utilize market research to more effectively market and sell your products and/or services, contact Pawsible Marketing today for a free 30 minutes consultation. 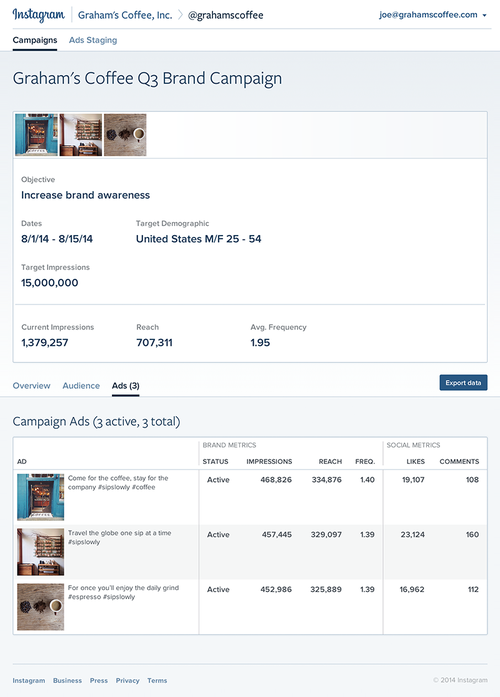 Tools coming for Instagram pet business marketers and advertisers. Instagram is quickly becoming one of the hottest social media sites. If you're not on Instagram as a pet business, I highly recommend it. The popular social media site recently announced it will be instituting key brand business tools for the marketer and advertiser to provide insights and value to brands. 3. And thirdly, ad staging will allow advertisers and their creative teams to preview, save, and collaborate on ad creative for upcoming campaigns. With these new tools pet business will be able to monitor their posts and campaigns by seeing and evaluating information on time of day reach, overall reach, impressions, and engagement, consequently gaining a better understanding of how their target audience is responding to their sponsored photos. 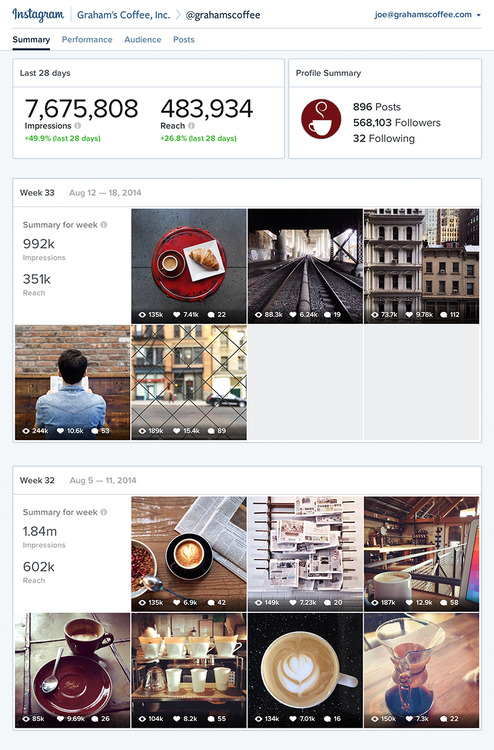 These features will roll out to Instagram marketers and advertisers over the next few weeks and months, so keep an eye out. 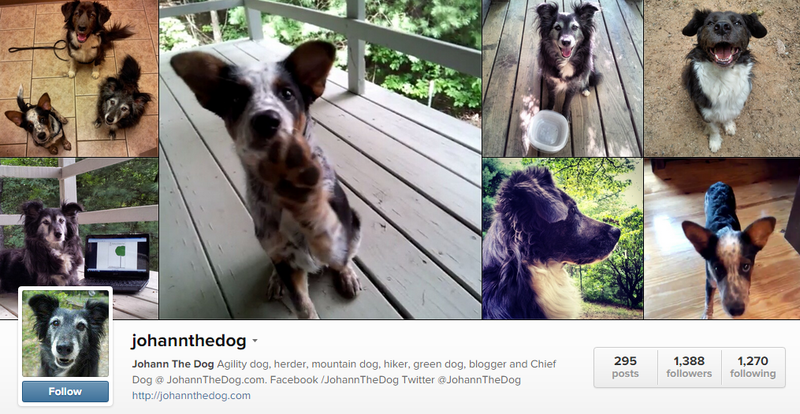 I now leave you with a little of my dog YoYo (Johann) on Instagram....enjoy! 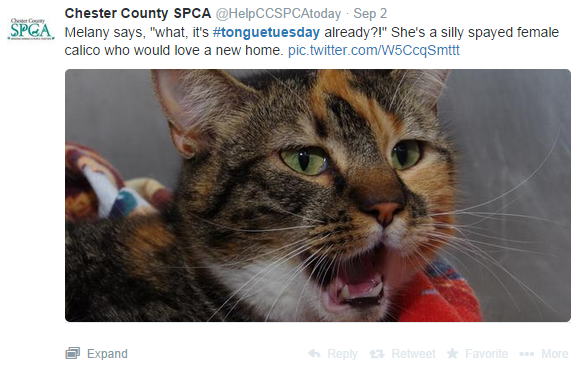 10 great ideas for posting on social media to get your pet business the attention it deserves. I get a lot of questions from pet businesses about how to grow their Facebook, Twitter, Pinterest and Google+ fan base, how to engage their audience and most importantly increase sales. It's not easy to come up with creative, engaging ideas of posts to share to accomplish the above tasks. One of the posts I find most engaging for my audiences on my dog sites are recipes, whether for humans or for dogs, cats, ferrets, horses and more. This type of post is one of my favorites for building a fan base. But remember, don't just find any cartoon on Google images and repost it. 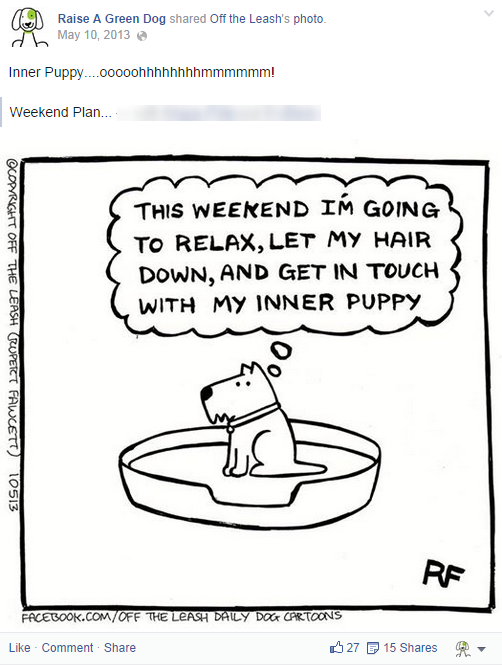 Do it right and don't violate copyright laws....find your favorite cartoon site (like we did with Off The Leash) on Facebook and share images from their site, giving them full credit. People love sharing quotes that speak to them with their audiences allowing you to be exposed to a much wider audience than your present fan base. 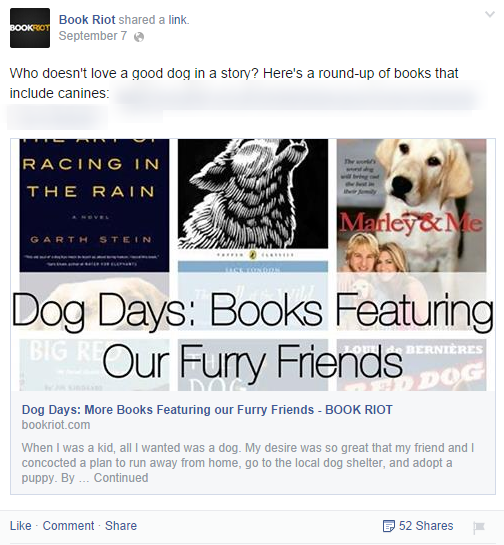 Whether it's dog, cat, ferret, horse, snake (or more) related, share some of your favorite reads with your readers. 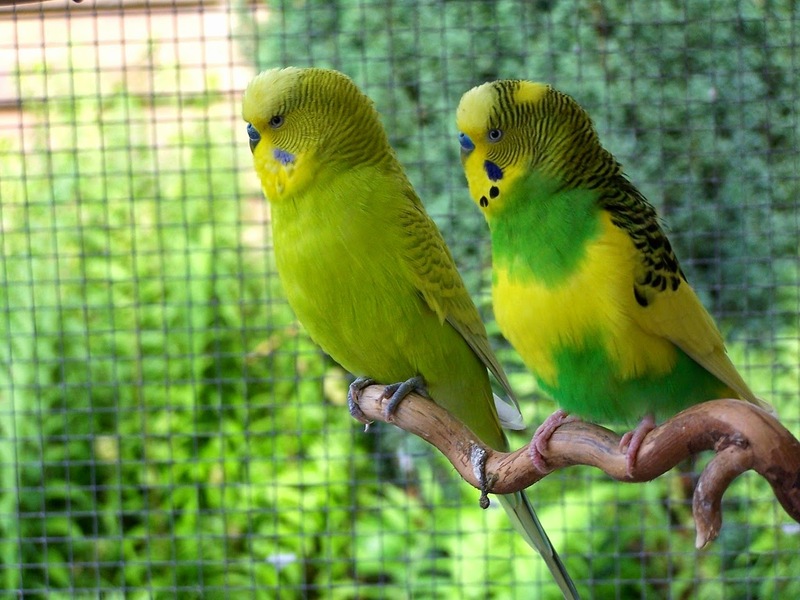 Pet lovers love to purchase based on recommendations. But remember, make it personal as we did here with my dog YoYo. Your fans will love getting to know you and your furry friends. 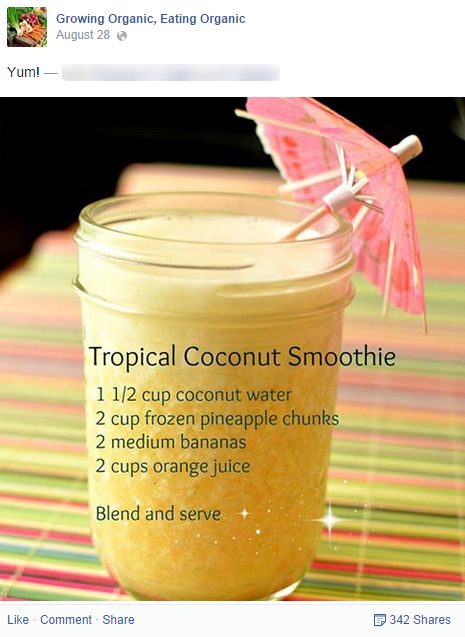 Get a new distributor? 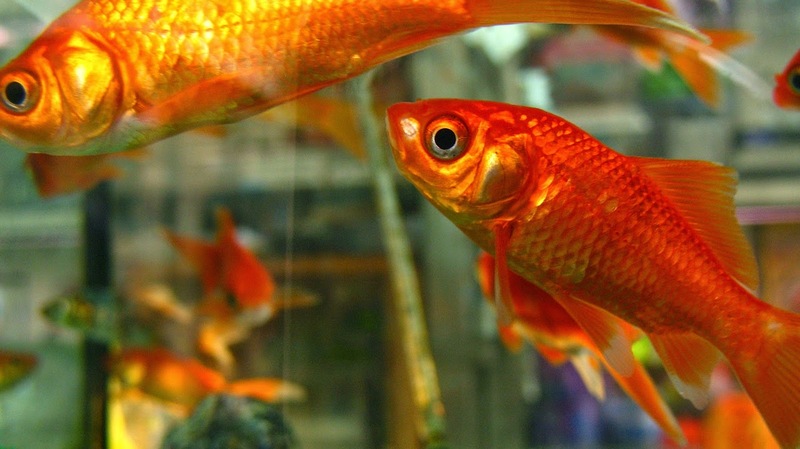 Make a deal with a big pet store? Earn an industry award? These are just a few of the key company milestones your fans would love to hear about your pet business. Don't be shy about bragging. 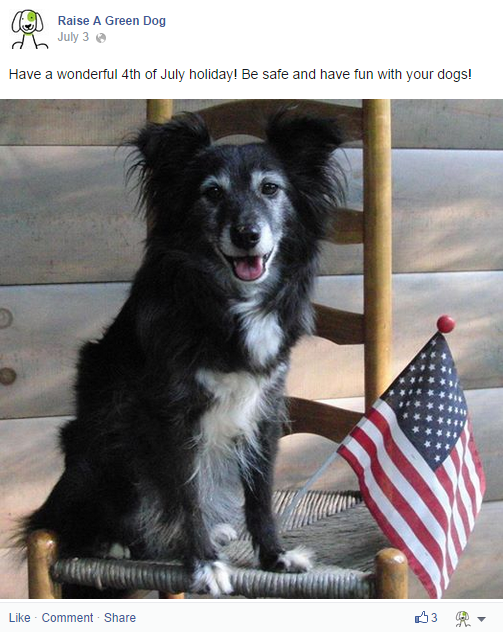 There are a lot of holidays dedicated to our four legged friends. Share the celebration with your fans in a fun, engaging and interesting way. A lot of the blog posts you've written over the years may still be relevant today. But many of your fans may not have known about that wonderful, educational and entertaining blog post. Feel free to re-purpose some of your relevant content from years ago. 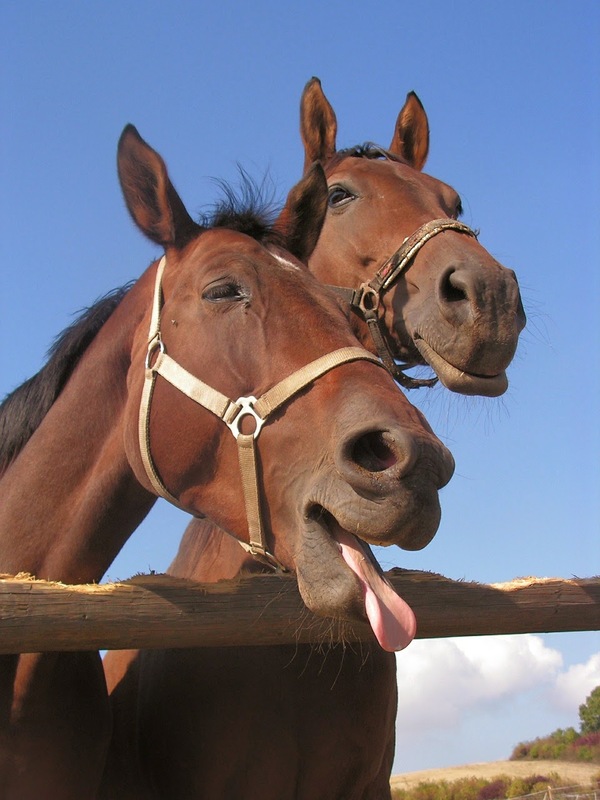 Nearly every day there is some type of pet related hash tag event...from #MeowMonday to #TongueTuesday to #WoofWednesday (or #HumpDay) and lots more. 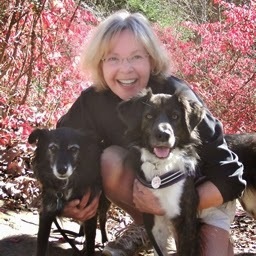 Feel free to share in the fun and engage your readers with a great photo, promote a pet in need of adoption, and more. Holding contests on Facebook, Twitter, Instagram, Pinterest and more can be great fan base increasers. Just be sure that you follow each sites rules on how you are allowed to institute contests for your fans. These few ideas that should give you some fuel for your social media fire. For more ideas, feel free to contact us to discuss how we may work together to make your social media program achieve the ROI you want and need.